Let’s be honest, designing corporate spaces is all about the bottom line. Traditionally companies would save money by buying the cheapest furniture possible in bulk and arranging it in an assembly line fashion to accommodate the largest amount of workers in the tightest space. However, corporations are quickly discovering that this type of office configuration has a profoundly negative effect on worker performance. Research has also shown them that, by designing corporate spaces the traditional model, their employees will work more productively and ultimately generate a greater profit. 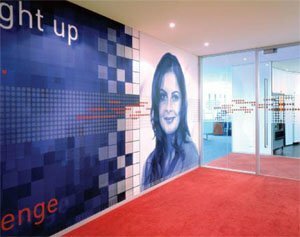 The article below details the ideas and effects behind designing corporate spaces changes. Take a look at their effects, as well as the big name companies who have benefited doing a little rearranging. 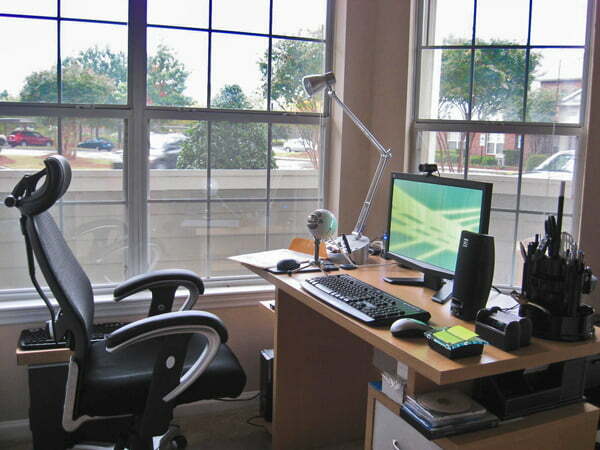 You may even find yourself changing your own workspace up a bit. 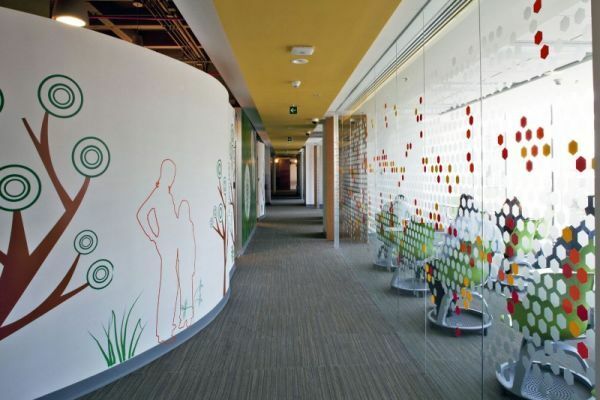 The affect your designing corporate spaces has on employees helps reflect your brand 24/7. If your team has open areas to network and brainstorm, you’re ingraining a sense of unity and teamwork toward an overall company goal. The right furniture and space is planned shows everything from the authority structure to how your team creates and produces. Now think of the colors, the lighting and the walls. As we’ve written about before, the right color has a huge impact on your office: how your employees work and how employees view you. When it comes to lighting, allowing sunlight to stream in with artificial, indirect light creates a warm, upbeat environment. Also, adorn the walls with paintings, murals, design awards and even ongoing projects that reflect who you are and where you want to go. 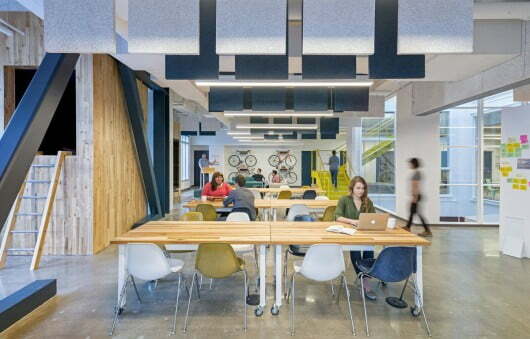 By 2016, 72% of those who used co working spaces were forecasting an increase in their income. In the old days, designing corporate spaces was distributed in the same general manner, no matter what company. 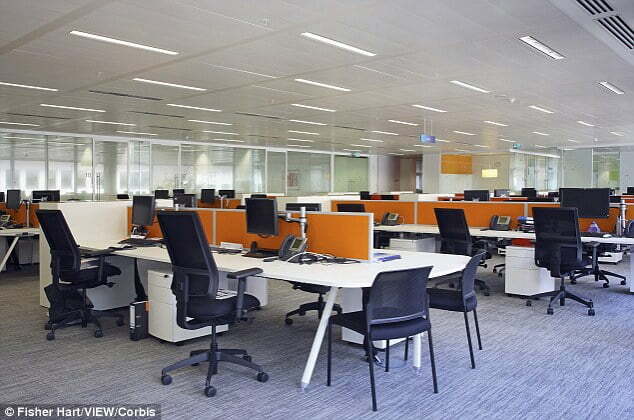 The newbies were given cubicles, mid-management got to enjoy the privilege of an office with a door, and CEOs had their pick of palatial spaces with stunning views. 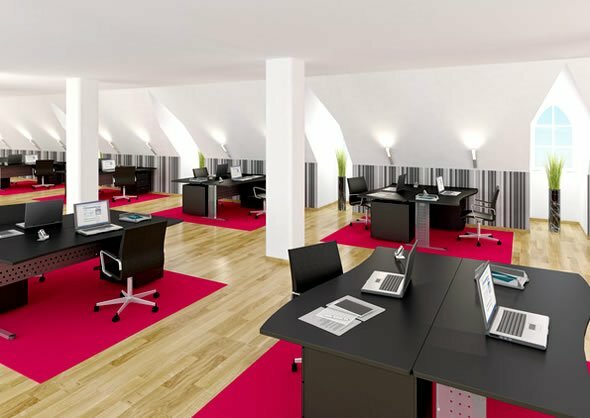 But, today, designing corporate spaces are quickly becoming a thing of the past in favor of large, open spaces. 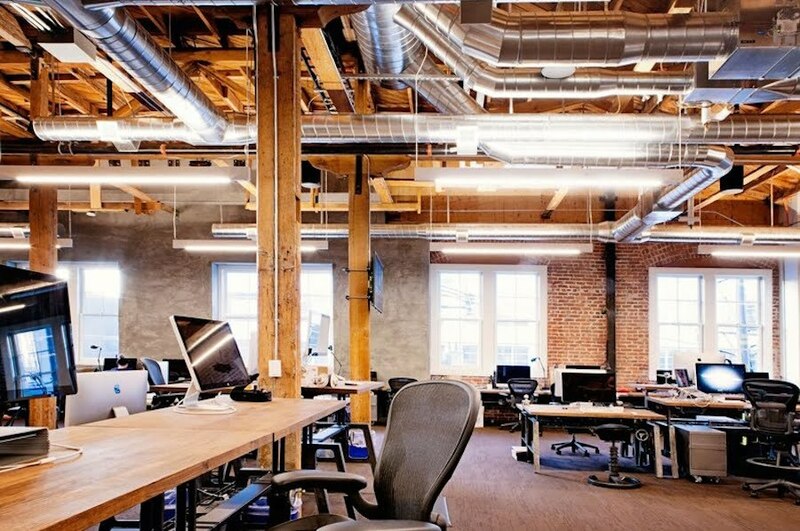 This type of environment features long work spaces where a new hire and a CFO could potentially work side-by-side. Even the conference rooms, though enclosed, usually feature glass walls. Some companies like Twitter even go the extra step and configure their buildings entrance so that employees must pass through a high-end communal break room before continuing on to their departments. 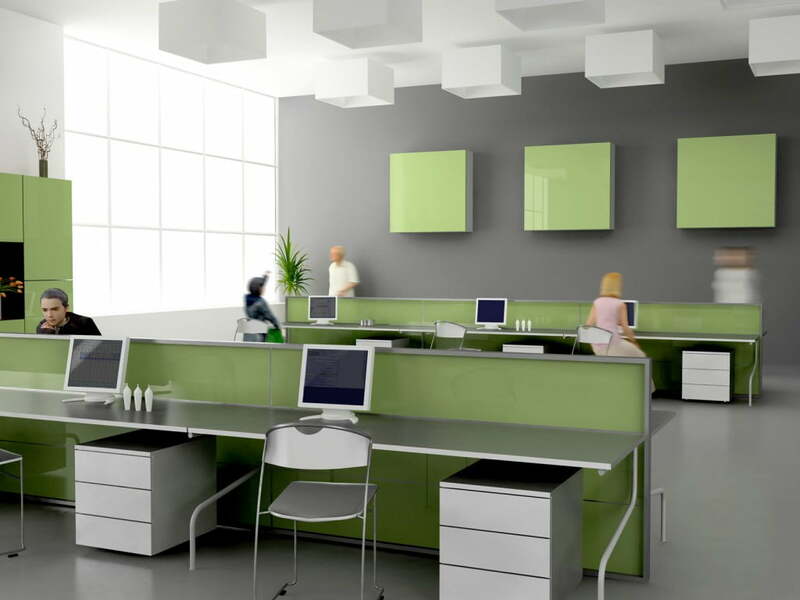 Of course, there are bound to be a few negatives associated with a fully open office concept. Could you imagine trying to concentrate on an important conference call with two of your coworkers chatting about weekend plans just a few feet away? 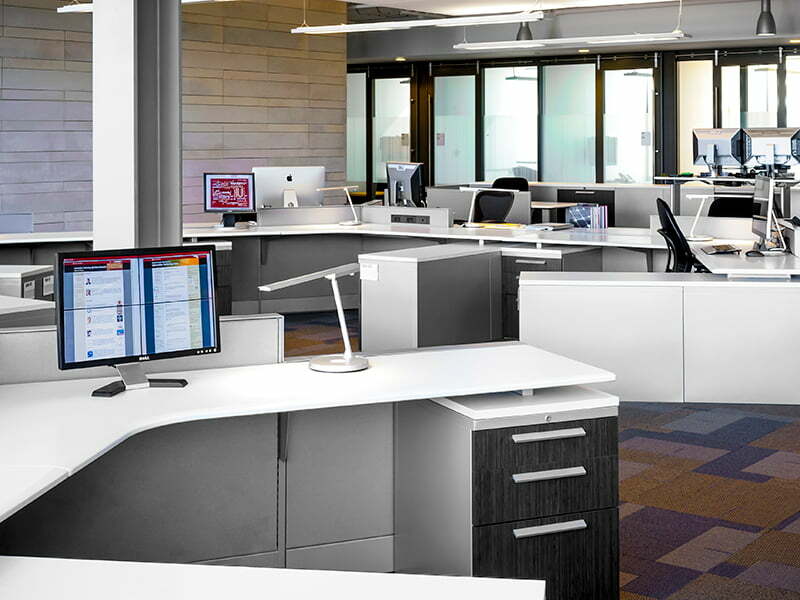 Many companies have started Designing Corporate Spaces using flexible workstations as a result. This type of flexibility allows workers to place themselves in the environment in which they work best. Introverts are allowed a peaceful place to collect their thoughts while extroverts can feed off of each others energy. Allowing that freedom of choice has shown increases in productivity for forward-thinking companies like Google and Department of Treasury and Finance in Victoria. We all have that one colleague who brings his or her home life into work. Whether it’s kids’ drawings papering the walls of a cubical or a plethora of holiday decorations, he or she is always the subject of debate. While some may think these personal items too unprofessional for the corporate environment, studies have shown that the ability to decorate one’s workspace leaves employees feeling more invested in the company’s success. A recent study from Northwestern Medicine and the University of Illinois at Urban-Champaign compared the overall health of workers who had window-filled offices versus those without. They found that employees with windows received 173% more white light exposure during work hours and slept an average of 46 minutes more per night. Those employees also reported greater physical activity than their colleagues who were left in the dark. How people perceive color varies based on their culture and life experiences. However, there are some generalizations about how color is likely to be perceived, either overtly or subliminally, in the workplace. Warm and appraising, bright and open or cool and relaxing? Choosing a color palette can have a big impact on the mood and ambiance of any commercial design scheme. Changing the color scheme of a hotel, restaurant, airport waiting area or shopping mall concourse can completely transform the space itself. Colors communicate aspects of personality or brand and have the power to produce psychological and physiological effects. YELLOW – The color of knowledge and enthusiastic creativity. Yellow offers hope, happiness and fun. ORANGE – An optimistic and uplifting color. Orange inspires and motivates positive thoughts. RED – A positive color associated with brand leadership, ambition and determination. PINK – The color of unconditional love, compassion and intimacy. Pink drives romantic ideals. PURPLE -Represents the imagination. Purple expands awareness and connect is to deeper thoughts. BLUE -Trust, honesty and loyalty define this color. Blue is reserved, conservative and reliable. GREEN -The great balancing color. 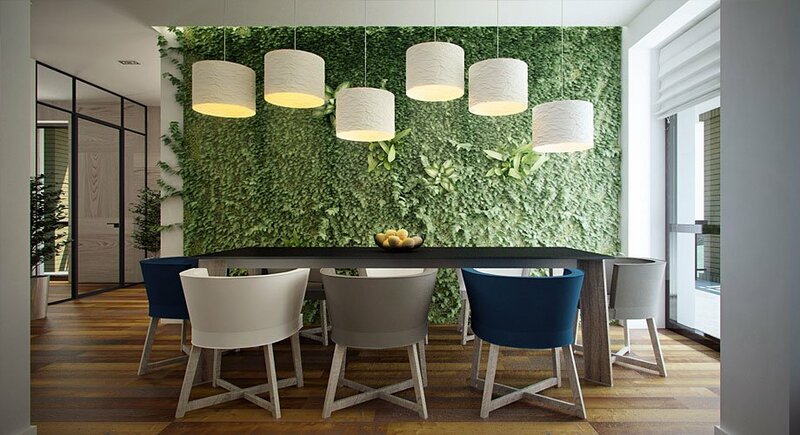 Green creates a stable environments between energy and emotion. In a completely open office design, I recommend investing in quality wireless headsets or office cell phones. Employees need to be able to move while on the phone (maybe to find a quiet space if they’re on an important call and a coworker is having a loud conversation). Giving them the tools they need makes them more productive and better able to fully use the space. Make Quiet Space Functional; Quiet rooms must have all the tools needed to work: a simple monitor, telephone and data outlets, and the ability to accommodate four to five people. Consider providing lounge areas where people can plug in and work in a setting that is more like home. Furniture that you feel like you can put your feet up on is becoming increasingly popular. The best companies make their employees feel cared for. A great coffee maker and simple snacks or beverages in a comfortable break room goes a long way. We’ve also designed spaces that take the break room to the next level – game tables or large walls of blackboard paint where employees post birthday messages and artwork, features that increase a sense of camaraderie and fun. There is a direct correlation between employee engagement and worker satisfaction. This affects productivity and innovation. Provide work spaces that enable visibility, openness and greater employee mobility to foster engagement. When workers are more likely to see each other, they are more likely to connect and collaborate. Today’s knowledge work requires high levels of concentration, collaboration and everything in between. Well-designing corporate spaces provide opportunities for both and allow individuals to choose when and how they use them. 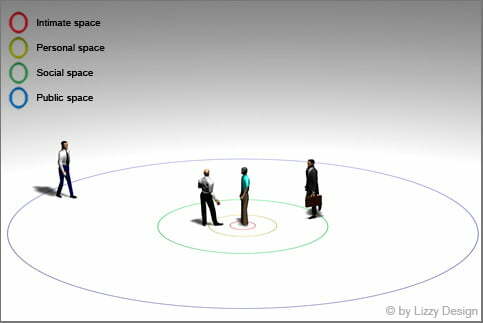 Focus work: Provide quiet zones or spaces for concentrated work. Collaboration: Emphasize small group collaboration and provide diverse settings (formal and informal). Learning: Consider the workplace to be an educational environment that supports learning and mentoring by providing e-learning and in-person, one- on-one learning. 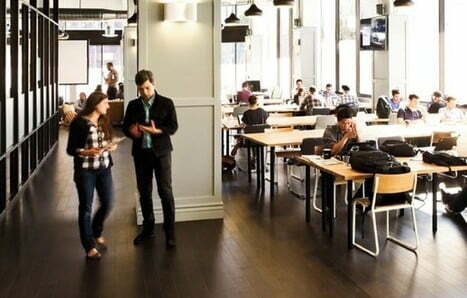 Socializing: Provide a variety of informal spaces that accommodate work and casual communication while fostering informal collaboration and innovation. Invest in equipment with ENERGY STAR labels. Ensure heating, ventilation and air conditioning (HVAC) and other office equipment is checked and maintained on a regular basis. designing corporate spaces that are for and around people are more likely to be comfortable, flexible and support productivity over time. This is because they take into account the needs and limitations of the people who occupy them. “Human factors” is an area of workplace psychology that focuses on a range of topics including ergonomics, workplace safety, the reduction of human error, product design, human capability and human-computer interaction. 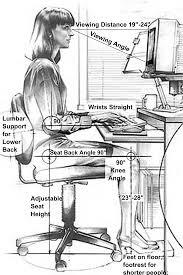 The terms “human factors” and “ergonomics” are often used synonymously. Thermal comfort is created through the right combination of temperature, airflow and humidity. A combination of these elements is required for physical comfort in the workplace. 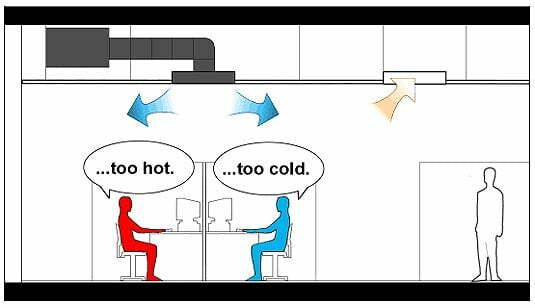 When you hear people complaining about temperature in the workplace, chances are that airflow and humidity are part of the reason for designing corporate spaces. We are at a tipping point where these innovative concepts will become basic requirements for designing corporate spaces. Workplace strategy is a triple win. Organizations like it because it enhances their ability to hire and retain key employees, increases productivity and saves money. In the past several years, many companies have shrunk their real estate portfolios to keep pace with declining headcount. Now, as the global economy shows signs of recovery, companies are starting to see revenue growth. However, the number of new jobs created may be less than we have experienced historically due to increased productivity and outsourcing. Square footage requirements will grow even more slowly, if at all, as the trend continues toward mobile work. The role of corporate real estate needs to shift. CRE executives must become leaders in the integration of space, technology, policies and practices. They will need to consider the social and behavioral aspects of the workforce, current and optimal patterns of work and creative designing corporate spaces solutions in order to create sustainable competitive advantage. By now, kadvacorp’s readers should be familiar with the ways in which a home’s interior design can affect the subconscious. It should come as no surprise that layouts designing corporate spaces function in much the same way. Many companies have started to use these design tactics to foster more productive employees. Why can’t you? Check out The Ideas Behind Designing Corporate Spaces to figure out how to make yourself happier and more fruitful in your workspace. 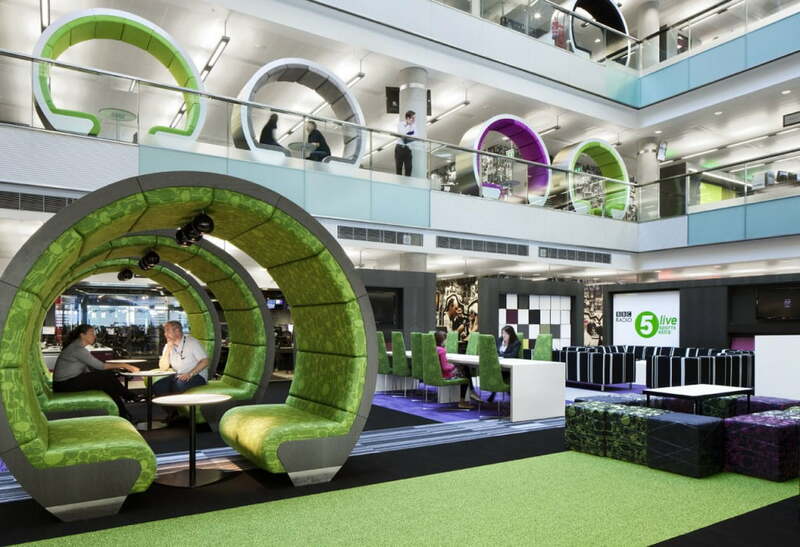 Does your designing corporate spaces use one of these layouts? If so, do you believe in the psychological effects? 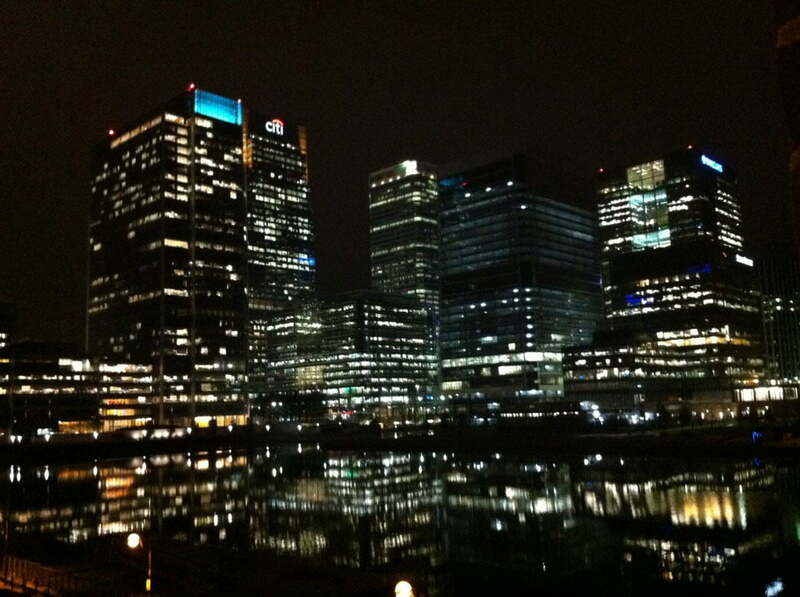 If not, do you think you would enjoy working in one of these environments? Share your opinion with us in the comments below.